Home \ News \ Enham Trust’s Neuro-Rehabilitation Unit given planning permission. Plans, submitted by Design Engine on behalf of leading disability charity Enham Trust, to build a state of the art Neuro Rehabilitation Unit in Enham Alamein, near Andover, have been given the green light by Test Valley Borough Council’s planning committee. Under the proposals agreed, the new 14 bed centre will treat people who have suffered damage to their nervous system, including brain injury and strokes, acquired through an accident or from an neurological illness or virus. This Neuro-Rehabilitation Unit will be built on part of the former Cedar Park site in Enham Alamein and construction work is planned to start by the end of the year, with the first clients moving into the centre in spring 2017. 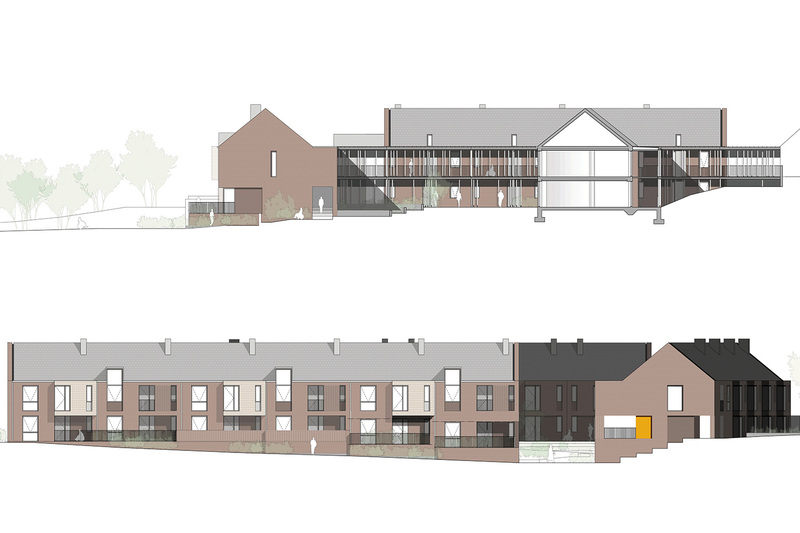 As well as agreeing the proposal for the new centre, planners also agreed in principle to the development of 81 new disabled accessible apartments and a new health and wellbeing centre on the Charity’s home estate in the village. The new development is part of Enham Trust’s plans to grow the support that it offers people living with a disability. Design Engine Director Rod Graham said, “This is an ambitious and imaginative scheme which will make a substantial difference to the daily lives of Enham Trust’s clients; we are proud that it has received such unanimous support”.